Emma of Miss Print and Nicole at The Book Bandit have started a new weekly feature called Monday Memories. To participate, all you have to do is take a photo of one of your books (or a library book that means a lot to you) and talk a bit about why it made an impression. 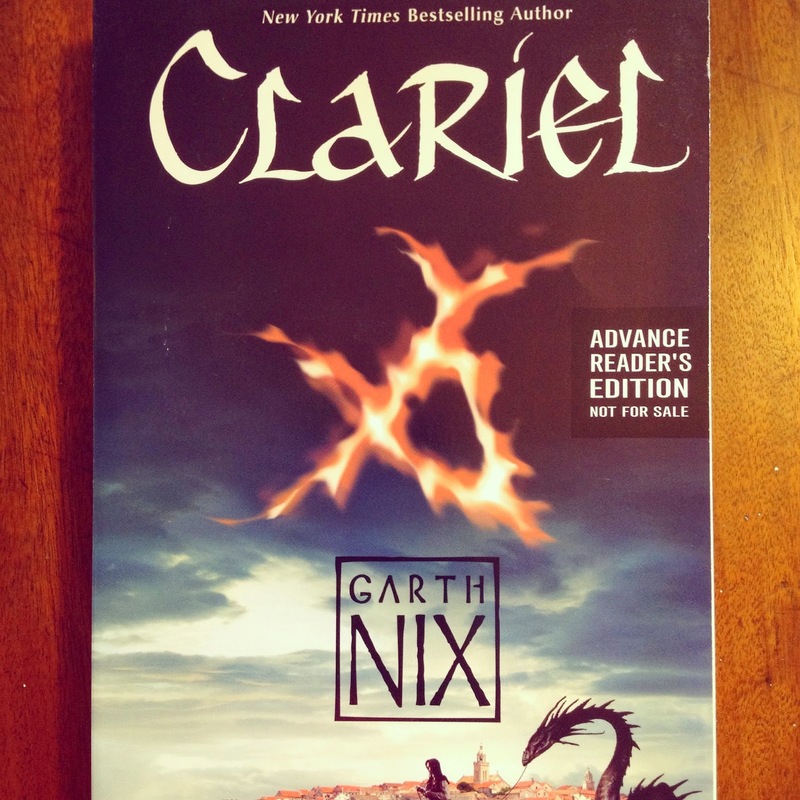 Today I'm going to talk about Clariel by Garth Nix. True story: I haven’t read this book yet. Given that I’ve re-read Sabriel and the other Abhorsen stories over and over (too many times to count! ), you’d think I would have already jumped into this one. Especially since I picked it up at Book Expo America in MAY, and it is October now. Somehow this book has become a charm. In my head it has become the thing that’ll pull me out of a terrible day, the antidote to reading malaise, the cure for all that ails me! I may be putting too much pressure on this book. I’ll stop, I swear. 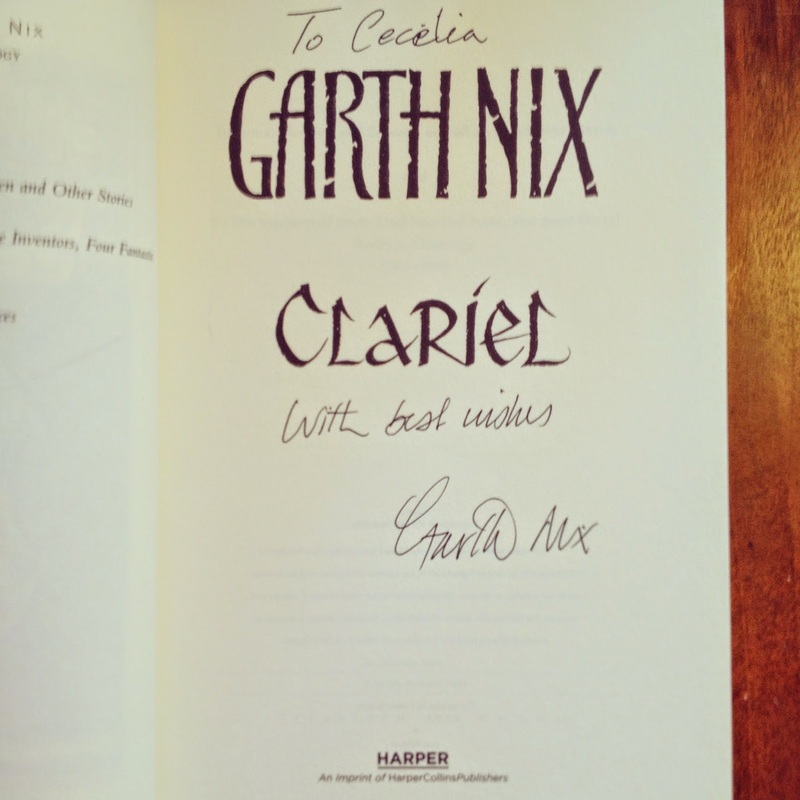 Oh look at that – it’s me meeting Garth Nix in person and getting his signature. I was SO EXCITED (I’m in the middle, that’s my sister on the right, beeteedubs)… it doesn’t show in the photo, but my heart was beating like mad and I almost forgot how to speak. 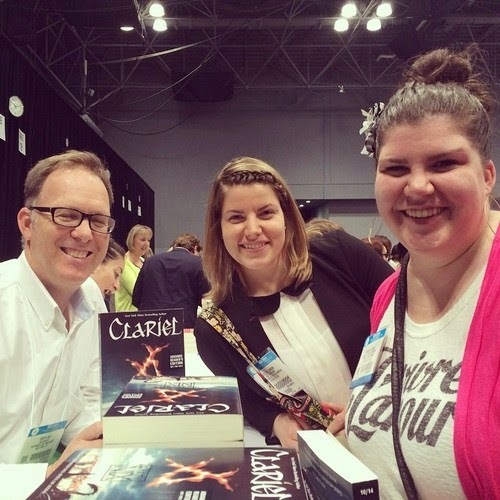 I just… authors are my rock stars, you know? So yeah. Even though I haven’t read this book, it means a lot to me. It’s potential wonder, the continuation of a favorite universe, and the meet-and-greet of the year. Dear book, I don't know you yet, but I love you. Monday Memories twins! That was such a good start to BEA. I can't wait to hear your thoughts once you read this one. I know that feeling. I have books I've wanted to read on the shelf, because I'm afraid to squash the possible realities of the book. I need to pick up this series! Also, you look so happy =) Love the picture.